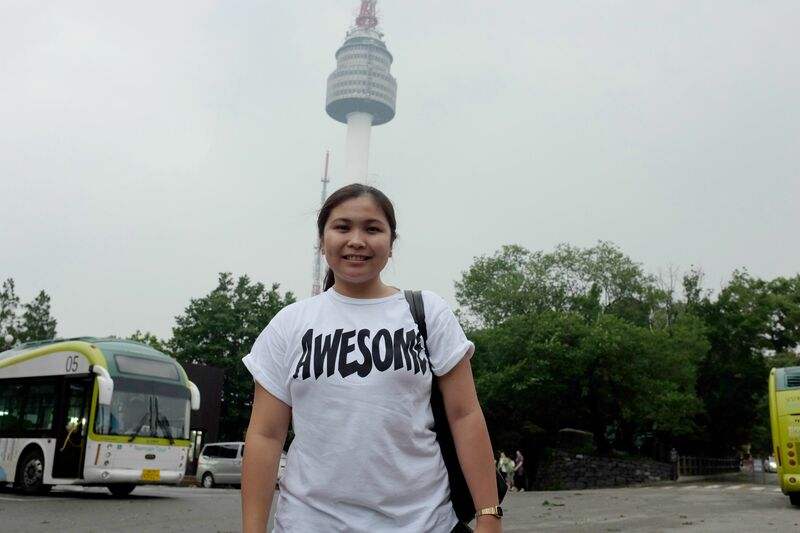 Our next stop after Myeongdong is the Namsan Tower or more popularly known as the Seoul Tower. 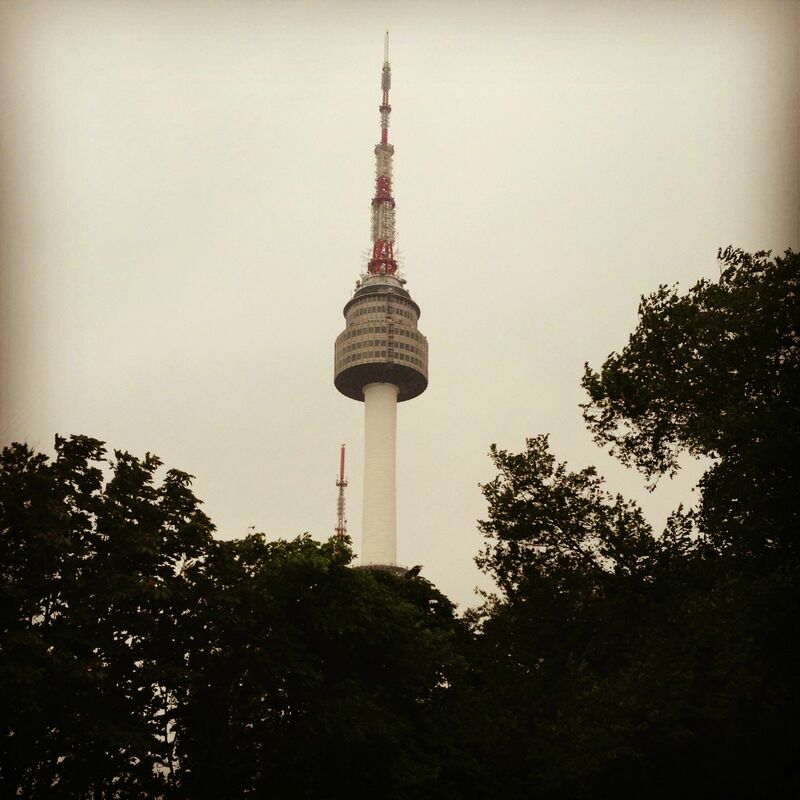 :) Like the one in Tokyo, it's also a communication and observatory tower located on the Namsan mountain which is the highest point in central Seoul. 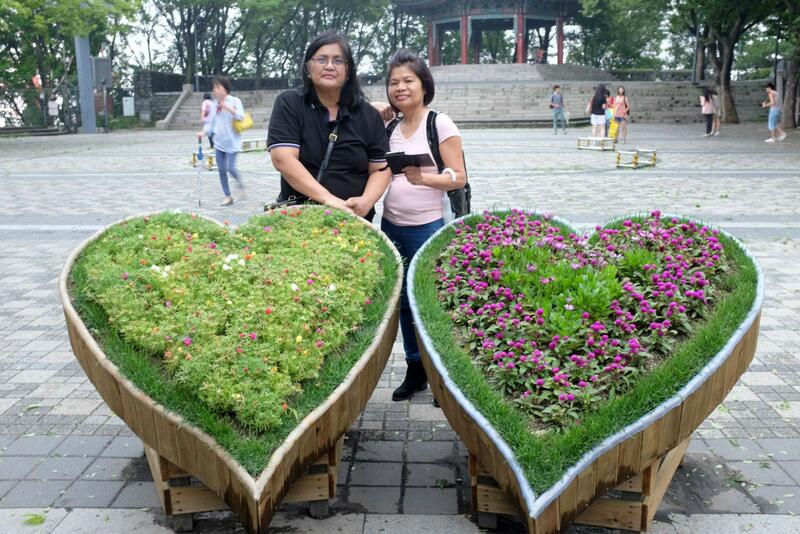 It opened to the public on October 15, 1980 and has since become a major tourist attraction offering panoramic views of Seoul and the surrounding areas. 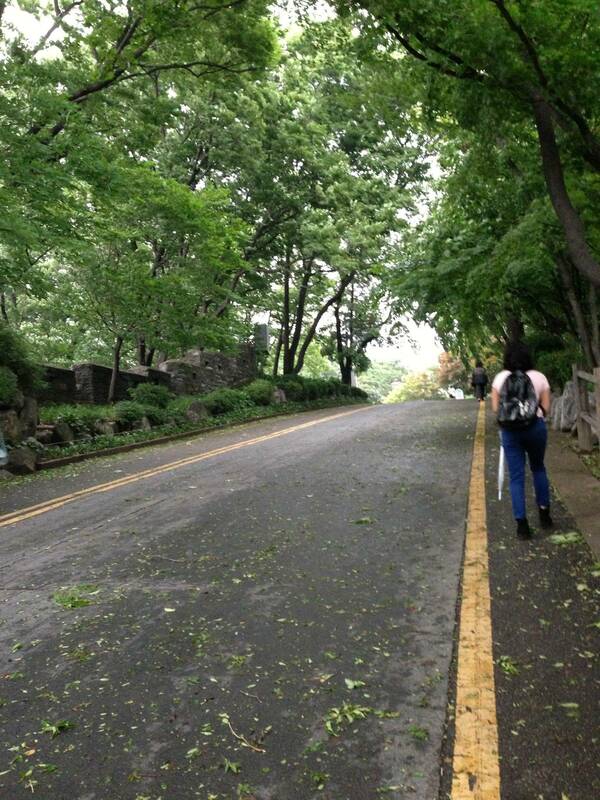 To get to the tower you may either ride the Namsan cable car or take the Namsan shuttle bus. If you prefer the latter, be prepared to hike a few meters up to the tower. 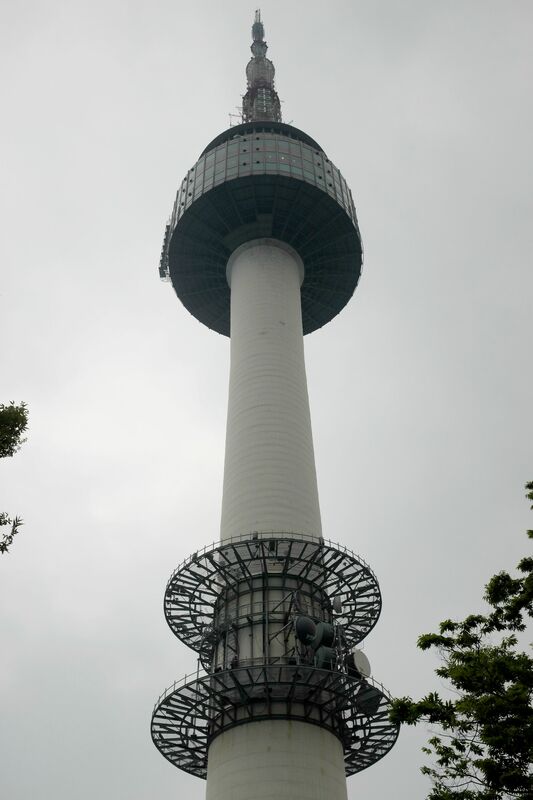 The Seoul Tower measures 236.7m (777ft) in height and features a revolving restaurant in one of the observation decks as well as gift shops on the ground floor. 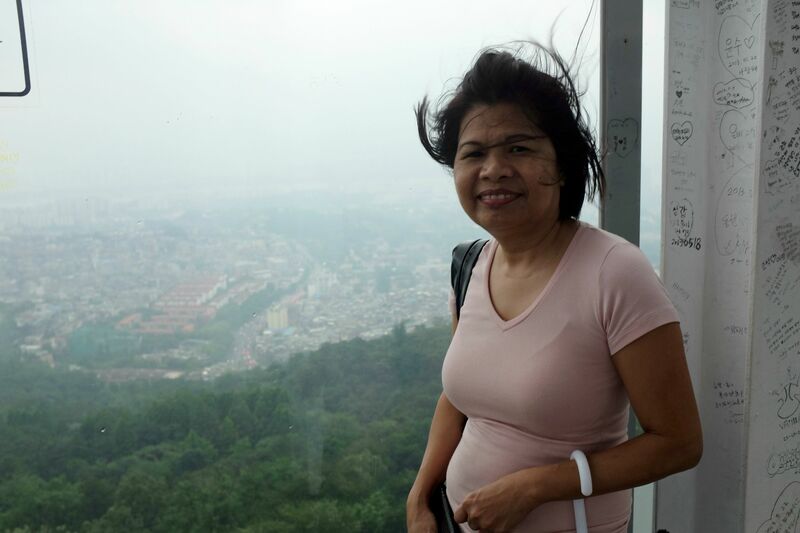 It was really hazy and really really windy that day so we didn't see the point of going up the actual tower. Check out this funny video of my Aunt getting almost caught up by the strong winds. Haha.